Hey Jess, sorry about your Ninja blender. It’s an honest mistake we’ve all could have made. 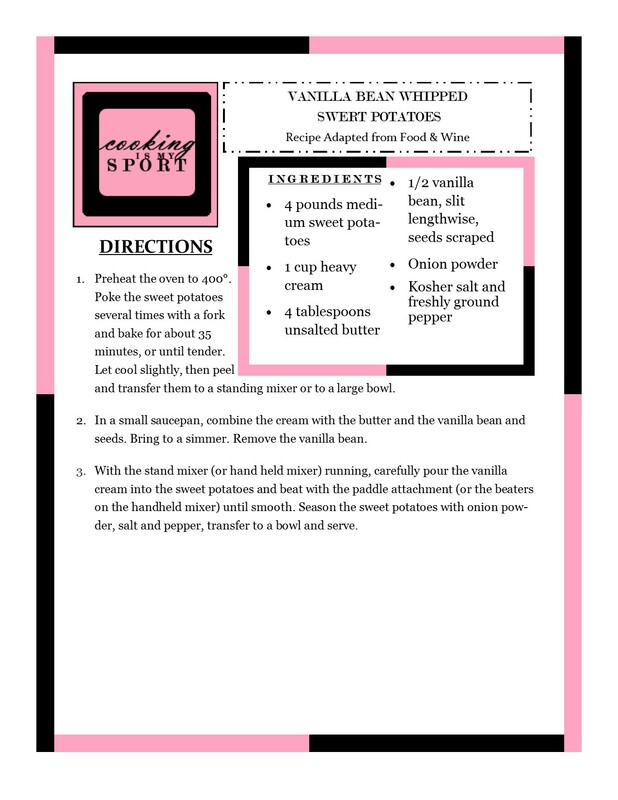 Your sweet potato dish looks delicious regardless and I love the addition of the vanilla bean. What a fabulous idea. Thanks for sharing and happy FF! I’ve denatured a salad spinner in the dishwasher (the plastic was quite thick as well! ), and of course any number of thinner plastic thing-ys. Such a shame about the blender, but whew it’s great that you were able to buy the pieces individually! I love the sound of vanilla in a savoury context. I’ve never thought of it before. It sounds so intriguing–I would eat it for dinner and then again for dessert! My timing couldn’t have been better as I just bought sweet potatoes yesterday to use later in the week.